Do you ever get razor bumps or ingrown hairs after hair removal? Ya.. me, too. This was sent to me a few weeks ago, and I gotta say, it could not have come at a better time. Summer is probably the most popular month for hair removal, whether it's waxing, shaving, epilating, etc. This is a simple product that helps reduce the occasional side effects that can occur (i.e, annoying bumps). This is a unisex product. Women can use it on their legs, bikini line (just be careful down there! ), underarms, and basically anywhere else you remove hair. 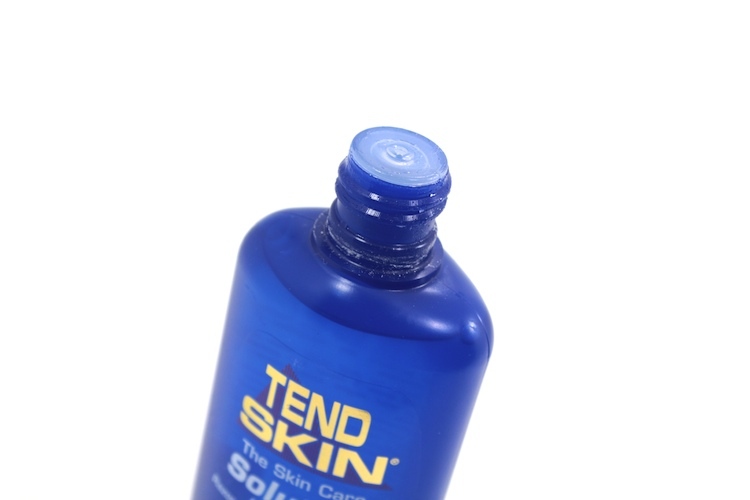 Tend Skin* comes in a few different sizes (shown is the 4oz bottle). 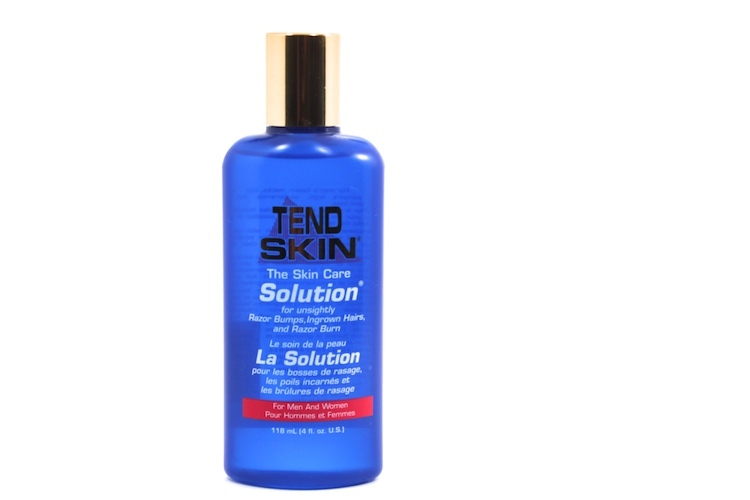 It's a liquid and it's best applied using a cotton swab or cotton ball. I actually really like that it's a liquid because it dries very quickly as opposed to creams (like BikiniZone). One of the main ingredients is alcohol, so it has a very strong scent and it can also feel somewhat drying. It worked great with my skin, though. I used it twice a day & I noticeably saw a difference by the end of a week. It seems to be one of those products that you have to continually use to get results, though. I used it mainly for the bikini zone. I also gave some to a friend who used it for the underarms and legs. She has much more sensitive skin than me & it worked well on her, too. She did say it was quite drying on her skin, but a quick fix was to moisturize afterwards. It's also important to note that if you have an allergy to Aspirin (hives, itching), you should not use this product; however, if you're not allergic and if you have troubles with ingrown hairs / bumps, I'd suggest giving this a try. BTW, from a male perspective, it works great on razor bumps, but avoid cuts (due to the alcohol content). Ps, you can also find the brand at Sephora! I've always wanted to try this!!!! I love that you said summer is the most popular month...is that how long summer lasts up in Canda? you are the second person to speak about this. HOW did I not know they sold this on the Nail Polish Canada website? Jeeeze. I have ingrowns on my bikini and underarms and it makes me so self conscious. #TMI.